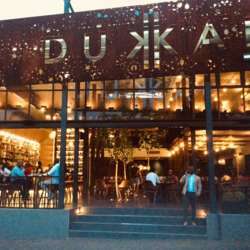 Dukkah is the newest, hippest, most stylish and happening restaurant-bar-lounge to open along the Florida Road strip: Durban's prime night-out nightlife precinct. 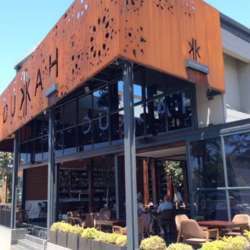 And a bonus: Dukkah has dedicated safe drive-in off-street parking out back. Plus good street parking. The dining theme at Dukkah is Moroccan/African. 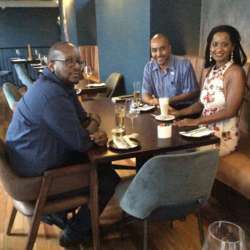 Owner Joey Edmund proved his restaurant credentials at erstwhile Bertoua on Musgrave. This new venue—a gorgeous space—has a great bar, downstairs outdoor/indoor dining and an upper level with several options. InterNations has reserved the front upstairs balcony that looks out over Florida. Come up the stairs when you arrive and look for the InterNations "Welcome" sign. The full menu will be available plus the full cocktail and wine list (each for our own account). 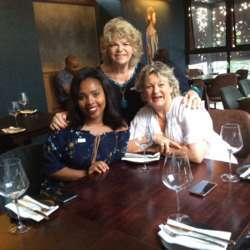 There are fish, poultry, vegetarian and meat options plus good starters, salads and desserts. And of course we will be there to chat, network, exchange ideas and generally have a good time. A BIG plus is that Dukkah, address 59 Florida Road, is on the "lower" side of Florida, opposite Ike's Books and Mama's. This puts it in the more "exclusive" part of Florida where one does not have to contend with any hectic Florida Road crowds. All good! We look forward to seeing you there from 6pm for those who come straight from work or prefer an early night. Night owls can linger on till midnight, which is when Dukkah closes.